When looking to get the hair of your dreams it is important to consider every avenue for the cause of your hair loss. If hereditary hair loss is believed to be the cause, hair transplants in medical tourism hotspots like Istanbul may be a popular option. This is because it will reverse the signs of hair loss without leaving permanent scarring on the surface of the head. But if you feel as though your hair loss is not quite as serve as this then we have the top five hair products to help you get the luscious locks you have always wanted. When looking at hair products to benefit your hair a leave-in conditioner is your new best friend. Whether this is a leave-in treatment after every wash or a conditioner that is left in for just a few hours it can do wonders for the hair. This will help to tame frizz as well as nourish the ends of the hair and promote growth. These can be bought in your local high street as well as specific retailers and have a large price range depending on the brand. It is important to note that some leave-in conditioners work better than others depending on your hair type, therefore it is worth trying multiple to find the right one for you. Sulphate free shampoo and conditioners are beneficial in removing dirt and oil from the hair however this can strip all the natural oil from your hair. By removing the sulphate from your everyday routine, you are likely to have healthy hair that has a natural balance of oil. This is great for the scalp as it does not dry out the hair at the root and helps to reduce irritation to the scalp in the long term. This is also beneficial for those that have coloured hair as sulphates can pull the moisture from the hair. By using a sulphate free hair care routine, you can ensure that the hair retains the moisture as well as a natural shine. Believe it or not, using the right brush can have a huge impact on the overall health of your hair. With a vast number of brushes having stiff bristles that can cause breakages, it is vital that you use a comb to brush the hair when wet and brush dry hair to detangle the knots. A simple change of brush can help to maintain the health of the ends of your hair by reducing the breakages and reducing the amount of stress to the hair. It is important to brush from bottom to top as this will guarantee that the ends are detangled beforehand. 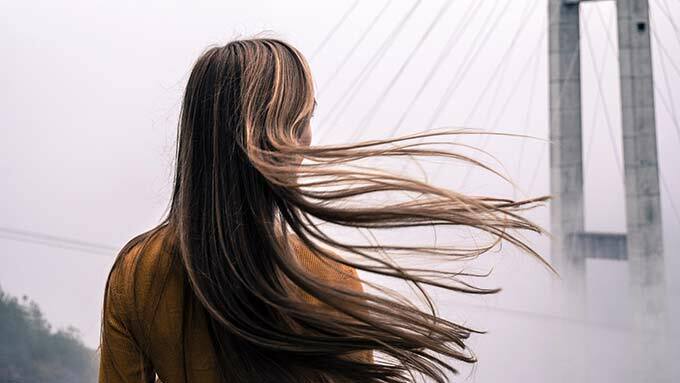 There are a number of brands such as tangle teezer and the wet brush that offer affordable options to help you care for your hair without breaking the bank. If you are looking for a way to generate a natural curl within your hair without using heat, then a sea salt spray may be the solution for you. You can have natural looking beachy waves by simply spritzing this into the hair and scrunching. If you have naturally curly hair this will help you to achieve your required, look without the need of a styling tool and will last all day long. For the best results when using these products apply to day old hair as this will hold the product and give you the required look. There are a number of brands that have sea salts spray within their ranges and this can be picked up from either the local supermarket or your highstreet drugstore at a more than affordable price. Another benefit for your hair is the use of hair vitamins. Two of these can be taken at night and provide your hair with the chemicals that it needs in order to grow. Although these should not be used as a replacement of a healthy diet and overall lifestyle these can help aid the growth of your hair and maintain the shine. These can be bought both online or in your local Highstreet store and can be your perfect secret weapon to outstanding hair care. With a number of hair care solutions available to you, you can have the healthy hair that you have always dreamed of with a few simple changes.